Jelly babies and liquorice allsorts are popular British candies or sweets. 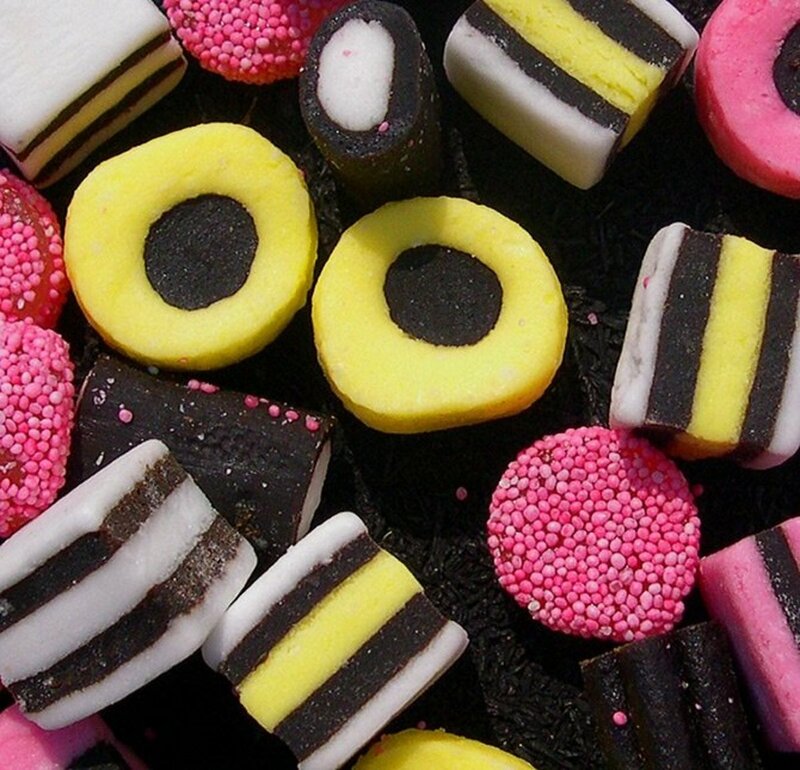 Liquorice allsorts in particular have become a widespread treat enjoyed by people in many countries. Jelly babies are soft, gelatinous candies that are produced in a mold that resembes a baby. Liquorice allsorts are firmer, brightly coloured candies with a wide variety of appearances, accounting for the "allsorts" name. 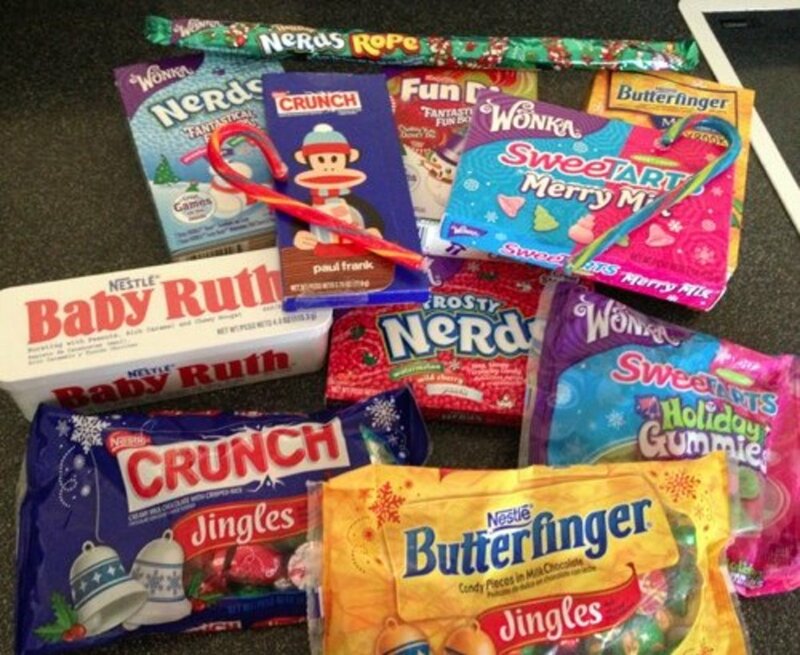 Both type of candies were first made by the Bassett's confectionary company in Sheffield, England. Today they continue to be made by Bassett's but are also produced by other companies. Jelly babies have a softer surface and a much softer centre than the typical gummy candies made in North America. 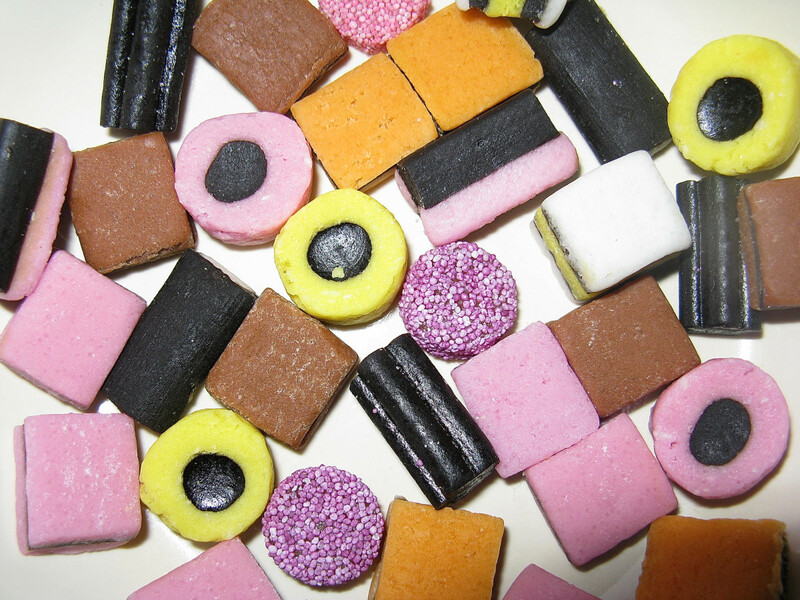 Despite the liquorice allsorts name and the fact that many of the candies have black sections, some brands of allsorts don't contain liquorice. They may contain anise (or aniseed), though, which is a natural substance with a flavour that resembles liquorice. The Bassett's confectionary company was formed in 1842 by George Bassett in Sheffield, England. He lived from 1818 until 1886. At one time he was the mayor of Sheffield. Bassett's jelly babies and liquorice allsorts were created after George's death. Bassett's was taken over by the Trebor company in 1992. Trebor was later acquired by the Cadbury Schweppes company. Kraft bought Cadbury and created Mondelez International, which is now the home of Bassett's products. The jelly babies and liquorice allsorts still bear the Bassett's name, however. 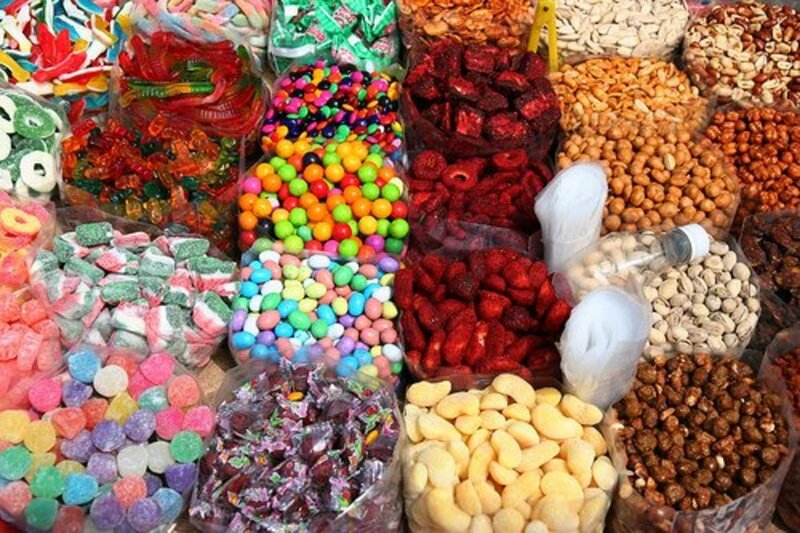 In the United Kingdom, candies are known as sweets, gelatin is known as gelatine, a gelatine dessert is called jelly, and licorice is spelled "liquorice". The history of jelly babies is uncertain. They may have appeared in 1864 when a man working at a confectionary company in England was asked to create a mold for jelly bears. Apparently the mold looked more like a baby than a bear, so the candies were referred to as "unclaimed babies". At that time, unclaimed babies was the term used for babies abandoned outside churches. Though the idea of using the term for a candy is disturbing by today's standards, it seems to have been acceptable in the nineteenth century. Advertisements from the past show that candies with this name were sold to the public. A popular but uncorroborated story says that in 1918 Bassett's created the forerunner to their jelly babies, which they called peace babies to mark the end of World War One. In 1953 the product was relaunched as jelly babies. Bassett's jelly babies are soft candies, though their surface is firmer than their interior. They lack the rubbery texture of North American gummy candies. They are easy to chew, which means it's also easy to eat too many of them. The candies are covered with a dusting of starch. The ingredients in jelly babies depends on their manufacturer and the country in which they're sold. In general, they're made from gelatin, sugar, citric acid, water, flavours, and colours. The stores near my home don't sell jelly babies, but one does sell organic fruiti bears, which have a similar texture. 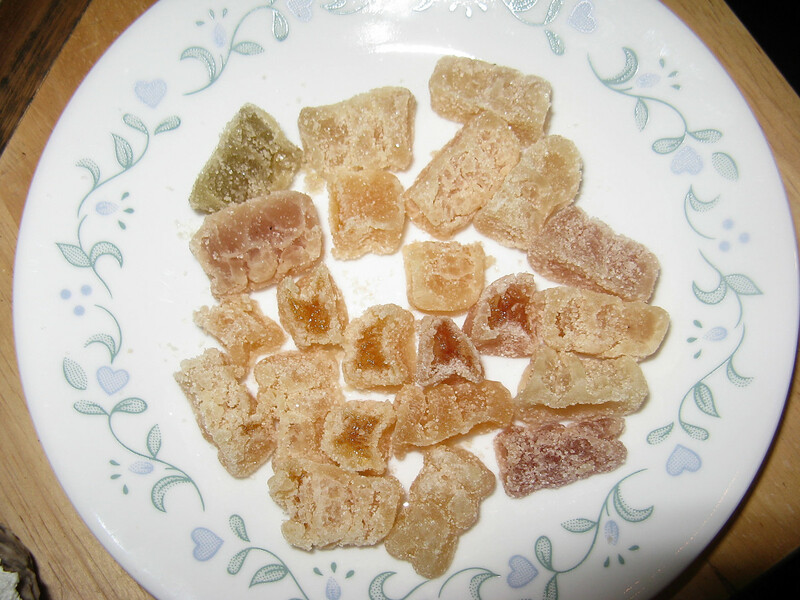 The photo of fruiti bears above shows the paler colour of candies with natural colours compared to those with artificial colours. I've cut some of the candies open to show the soft, moist interior. The fourth version of Doctor Who (played by Tom Baker) was a particular fan of jelly babies and often offered someone one during a tense situation. 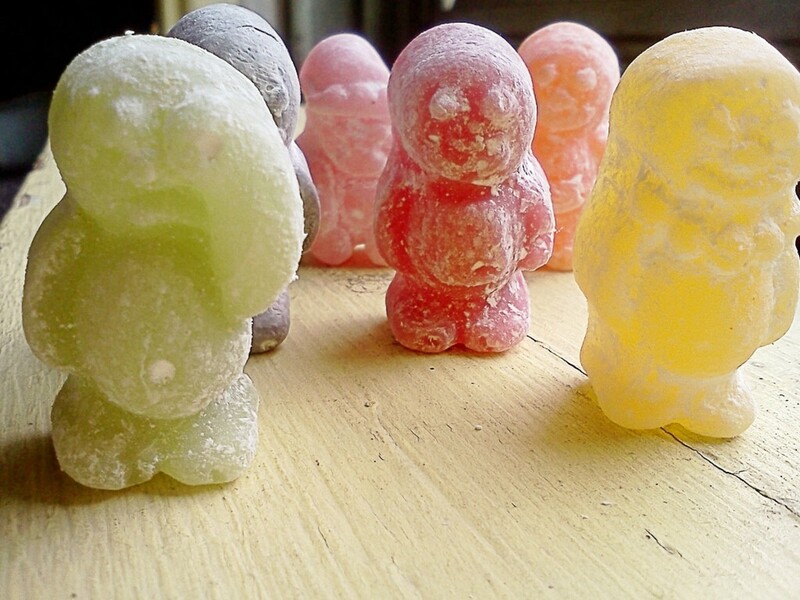 In 2007, artificial colours and flavours were eliminated from Bassett's jelly babies due to concerns about their safety. Artificial colours may increase hyperactivity in children, although this is a controversial claim. Some scientists and members of the public believe that artificial colours do affect children's behaviour, while other scientists say that there is no link. The flavours in the new version of jelly babies are produced by fruit juices. Each colour of Basset's jelly babies has its own flavour, colour, and name, as shown in the following table. This results in a rather strange situation in which someone is eating a candy which has a seemingly personal identity. The names and characters of the candies were assigned in 1989. One example of the characters that are depicted is Bubbles. She's a girl and wears a necklace, as can be seen in the jelly baby photo above. Another is Boofuls, who has his hand on his eye because he's crying. I have yet to discover why he's so sad. A gruesome interpretation could be that he's sad that he's about to be eaten. Bubbles is smiling at her fate, however. Jelly babies are used in a popular chemistry experiment often called (somewhat macabrely) the "screaming babies" experiment. When a jelly baby is added to a strong oxidizer, a rapid and strong chemical reaction occurs. The reaction produces light and a "screaming" sound. An oxidizer is a chemical that causes a reaction by taking electrons away from another substance. In this case the oxidizer is reacting with the sugars in the jelly babies. Please note that this reaction is not safe to do at home. It's potentially dangerous and can be a violent reaction—which is why it's so interesting to watch when professional chemists perform it! George Harrison of the Beatles reportedly said in an interview that he liked jelly babies. As a result, fans sometimes pelted the group with jelly babies during their public appearances, which the musicians understandably disliked. Liquorice allsorts were created in 1899 as the result of an accident (or so the story says). Charlie Thompson was a salesman at the Bassett's company. He tripped while he was carrying a tray of separate liquorice and paste candies to show a potential customer. The candies became jumbled up, creating odd combinations. The customer was impressed and placed an order for the mixed-up candies—the first liquorice allsorts. My favourite variety of liquorice allsorts, which always seems to be the least abundant in the bag, is the coconut one. Other members of my family have the same preference. The person who gets a coconut liquorice allsort (without looking at their candy selection before they get it) is considered to be the lucky winner in the candy lottery. My second favourite allsort is the brown and black sandwich because the brown layers have a mild cocoa taste. It's important that buyers check to see if their brand of liquorice allsorts actually contains liquorice. The substance is extracted from the root of the liquorice plant. It may have health benefits (although probably not when it's mixed with sugar and the other ingredients in liquorice allsorts), but it also has a potential danger. It contains a substance called glycyrrhizin, which may raise blood pressure. A villain called the Kandy Man appeared in some of the 1988 episodes of Doctor Who. The Kandy Man was a life-sized figure who appeared to have been made from candies joined together. The candies looked very much like liquorice allsorts. Bassett's was upset but accepted the BBC's promise not to use the character again. Bertie Bassett is the mascot of Bassett's liquorice allsorts. Reportedly, he owes his existence to a copywriter named Frank Regan. Frank created the first Bertie out of liquorice allsorts joined by pipe cleaners. Today, a bag of U.K. liquorice allsorts always contains a single piece of soft candy shaped like Bertie Bassett. He is said to taste like anise. Bertie has been the company's mascot since 1929 and has become a popular figure. In 2009, Bertie married Betty (another mascot with a body made of liquorice allsorts) as a publicity stunt for Bassett's. In 2016, RJ's Licorice of New Zealand created the world's largest liquorice allsort, which set a Guinness World Record. The height, width, and depth of the lime green and black sandwich had the same ratio as in a real allsort. The sandwich weighed 1,105 kg or 2,436 pounds. I buy both liquorice allsorts and jelly babies (or the equivalent to jelly babies) occasionally. I've enjoyed them since childhood. While they certainly aren't health foods, they are very nice for an occasional treat. Bassett's liquorice allsorts (and other brands) are always available in my local stores. For genuine Bassett's jelly babies I have to travel further to get to a store that imports British candies and other foods. The journey requires a fifty minute drive, but it's definitely worth it. Both candies can be bought online at various websites. Hi, crocker. As I mention in the article, the extract containing the liquorice flavor is obtained from the root of the liquorice plant. This extract is then mixed with other items to make candy. where does liqourice come from ? Hi, Craig. You're a great Doctor Who historian! As you say, the second doctor did like jelly beans. The fourth doctor was a special fan of the treats, though. jelly babies go back to the second Doctor. Not the fourth. In the 1973 episode "The Three Doctors", the second Doctor offers the Brig some Jelly Babies. I enjoy eating liquorice too, DDE! Thanks for looking at my hubs. Hi, Colin. Spring is coming here. I saw my first crocuses in bloom today, even though there was a chill in the air. Our days seem to alternate between being rainy and sunny. Thank you so much for the kind comment. I'm sure that my cats - Bennie, Nevin and Smudge - would love to send you, Tiffy and Gabriel their best wishes, too! I send my best wishes as well. Hi, Alun. Thanks for the comment and the vote. I enjoyed seeing the jelly baby sneak away, too. I like liquorice myself, although I know that some people share your opinion about it! Too bad I've always hated jelly babies! I've never much liked liquorice allsorts either (tho' the coconut ones were bearable because they didn't seem to have proportionately so much liquorice in them!) Voted up. Alun. I agree, lemonkerdz. There are several interesting sweets from my childhood that I still enjoy. I hope they continue to be made for a long time. yes just the smell from that factory was enough to get your mouth watering. Lets hope we never lose these iconic sweets no mater what new ones come along. It must have been very tempting to buy sweets when you lived so near to the sweet factory, lemonkerdz! Poor jelly babies - they lose their heads and they scream! Thanks for commenting. Thanks for the visit and the comment, BkCreative. Liquorice allsorts do look nice as a cake decoration. I like your cousin's idea of decorating the table with them, too! 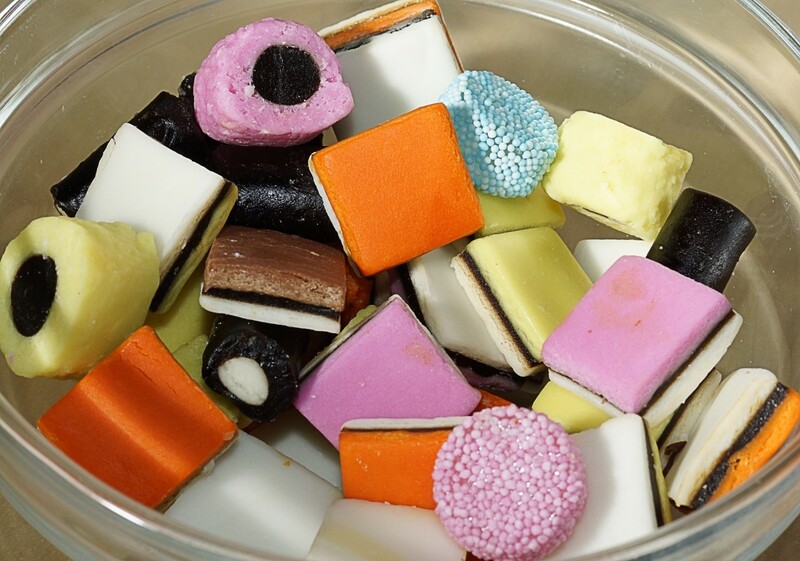 We used to have allsorts here in the US decades ago - and of course I ate them. But I haven't seen them since. Ah, but my US cousin has citizenship also in the UK and I visit him in England. He was so thrilled to find the allsorts that he uses them for decoration when he sets a table; very pretty and very colorful. As a lover of candy - thanks a million for a fun hub - yay! Hi, Deb. I have to be careful that I buy candy only occasionally, because like you if I have it in my home I find it hard to resist it! Thanks for comment - I appreciate it. Definitely a winner! I remember the allsorts for the Christmas holidays when I was a kid, but the Jelly Babies, that sounds great, too. Now, here's the deal with me and candy...if I have it, I eat it. I have a voracious sweet tooth. I loved the history of the candies, too. Thank you, SINewsome. The candies remind me of my childhood, too! These candies remind me so much of my childhood! Nice hub. Thank you so much, Eddy. I appreciate the votes and the share. I hope you have a wonderful day too! Even though hate Liquorice it didn't stop me from enjoying this one Alicia and I vote up.across and share all around. Have A wonderful day my friend. Hi, Martin. It's great to hear from someone who loves liquorice! Thanks for the comment. I enjoy eating liquorice allsorts, too, truthfornow! Thanks for the visit. I love to eat liquorice allsorts. I have to see if i can find some jelly babies now. Hi, peachpurple. It's nice to meet you! I know that gummies are very popular, but I prefer the softer texture of jelly babies. 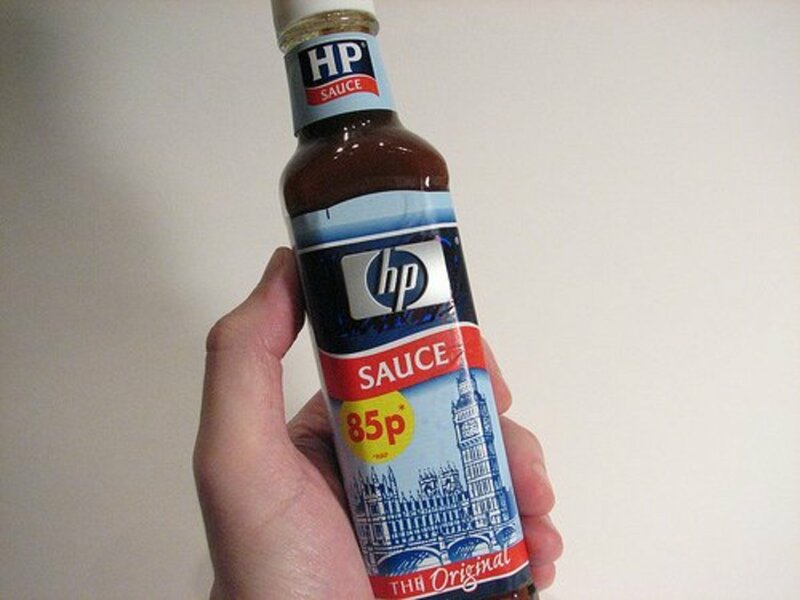 I like their taste, too. Thanks for the comment. Thanks for the visit, drbj! Jelly babies are made out of gelatin, like gummy bears, but as you say gummy bears have a much firmer consistency. Jelly babies are a soft candy. Although licorice flavor is not one of my favorites, Alicia, I did enjoy learning about liquorice allsorts and jelly babies. The latter seem to be similar to gummy bears which are firmer and very popular with children in the U.S. Thanks for this imported candy education. Hi, Tom! Tom Baker was my favorite Doctor Who in the old series. In the new series my favorite is David Tennant. Thank you for the comment and the votes! Hi, theraggededge. Thank you very much for the comment! My preference is the other way round - I prefer liquorice allsorts to jelly babies, although I like them both. Hi Alicia, I heard of Jelly babies before and also Liquorice allsorts, I've had liquorice allsorts before but not jelly babies. Tom Baker was my favorite Doctor Who . 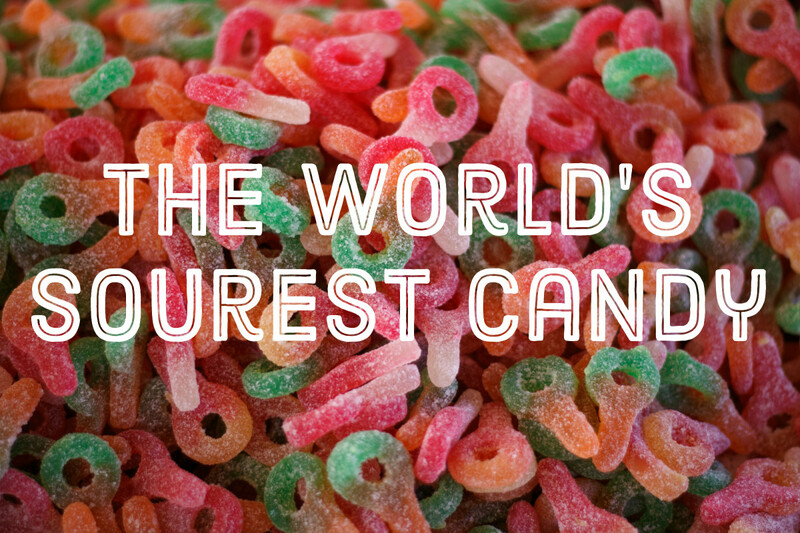 Thanks for this interesting facts on jelly babies and liquorice allsorts. Well done ! Ah... sweeties from my childhood! Love jelly babies, not so keen on Allsorts - there are some I like and some I can't stand. Was surprised to learn that there is flour in them, never would have guessed, but yes, now I realise that the paste part is not pure sugar. Hi, Bill. Liquorice allsorts are much more common outside of the UK than jelly babies, so don't feel bad that you've never heard of jelly babies before! Thanks for the visit. I have never heard of Jelly Babies....sheez, I must live in like a cave or something. LOL Thanks for the education.